Highlights from the Sky Bet Championship as Fulham faced Birmingham. Fulham ran out 1-0 winners over Birmingham, from a first-half Sheyi Ojo effort, to leave their opponents near the foot of the Championship. The West London side were able to welcome back Tim Ream after missing the last two games, while the injury-hit visitors put in Josh Dacres-Cogley for his first appearance of the season, and Cohen Bramall returned for the first time since August. Both teams forced a number of corners in the opening period, although there was little in the way of quality. However, Fulham took the lead on 14 minutes with the first noteworthy effort. Neeskens Kebano delivered a low cross into the box from the left, and Ojo was able to direct his first-time effort past Birmingham goalkeeper David Stockdale. 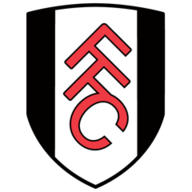 The home side could have doubled their lead on 20 minutes, when Stefan Johansen was able to feed an excellent pass into the box for Ryan Sessegnon to connect with - however, the 17-year-old failed to properly control the ball with his foot, putting his effort well wide. Fulham continued to look the more dominant of the two sides, and Kebano was foiled just before the interval, when after picking up a loose ball from a corner he fired it low, only for Stockdale to palm away through a body of players. This proved to be the last contribution of the day for the Congolese, who was replaced by Aboubakar Kamara just before the break after limping off. Fulham continued to look dangerous and had two chances in the space of a minute. Firstly, Kamara put his shot wide of the post on 57 minutes after picking up a through-ball from Johansen. Both players then changed roles, with the substitute turning provider for Johansen, who was found unmarked, but aimed his effort straight at Stockdale. Ojo should have added his second of the afternoon on 72 minutes, but fired well over the crossbar from less than 12 yards out. Birmingham should have punished Fulham for their failure to take their chances on 75 minutes, when Emilio Nsue was fouled in the box by Kevin McDonald. However, Jeremie Boga placed his spot kick over the bar. Kamara fired wide late on for the hosts, who held on comfortably for their second win at home in a row. Slavisa Jokanovic: "We must be satisfied that this is the second time that we have won at home with a clean sheet. 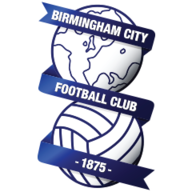 This is good news for us, we are solid at the back and we believe Birmingham only had one attempt on the target. "We try to play with a different shape, to create the chances and score the goal. I believe we dominated the game and did enough to score more goals. We have the space to improve and we can play better than we did today, the solution is to score the second goal. We can pay an expensive price with one mistake." Steve Cotterill: "The second half again I thought we created more chances. We've got to put one of them away, it gives everyone a big lift. For our pressure, and the way we were we deserved the penalty, when it comes you are hoping that it goes in. It sums up our luck at the moment. "You can see by the team selection today, we've had two days preparation and it's quite a changed team. I think that might have been Josh Dacre-Cogley's first game and Cohen (Bramall) may have had one start previously. For those two lads to be thrust in like that, it was tough for them."